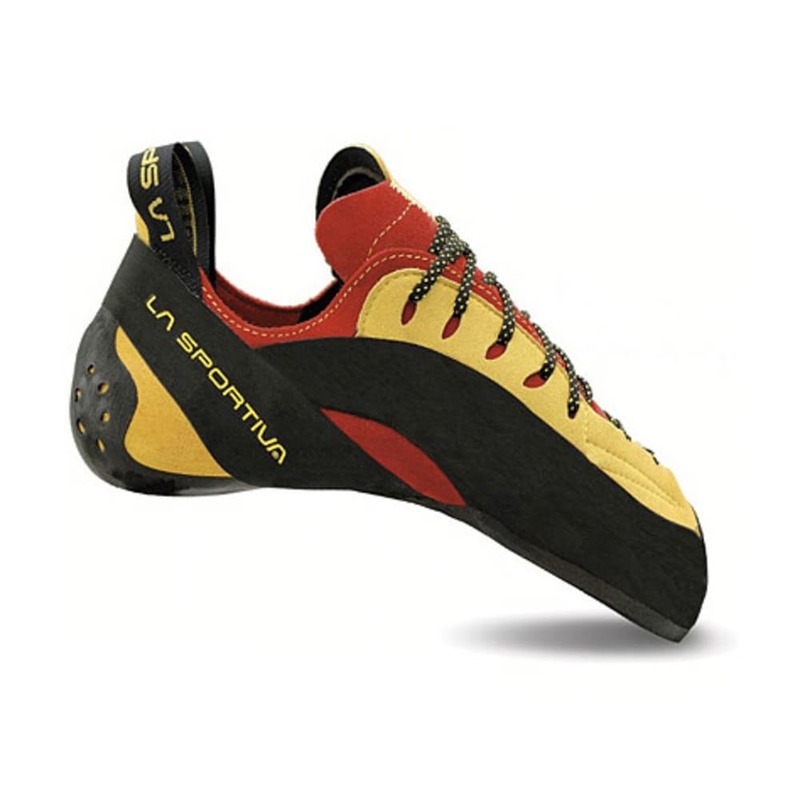 Incredible down-turned edging power for steep sport routes and difficult bouldering is what you get in the high performance, brilliantly-designed Testarossa from La Sportiva. 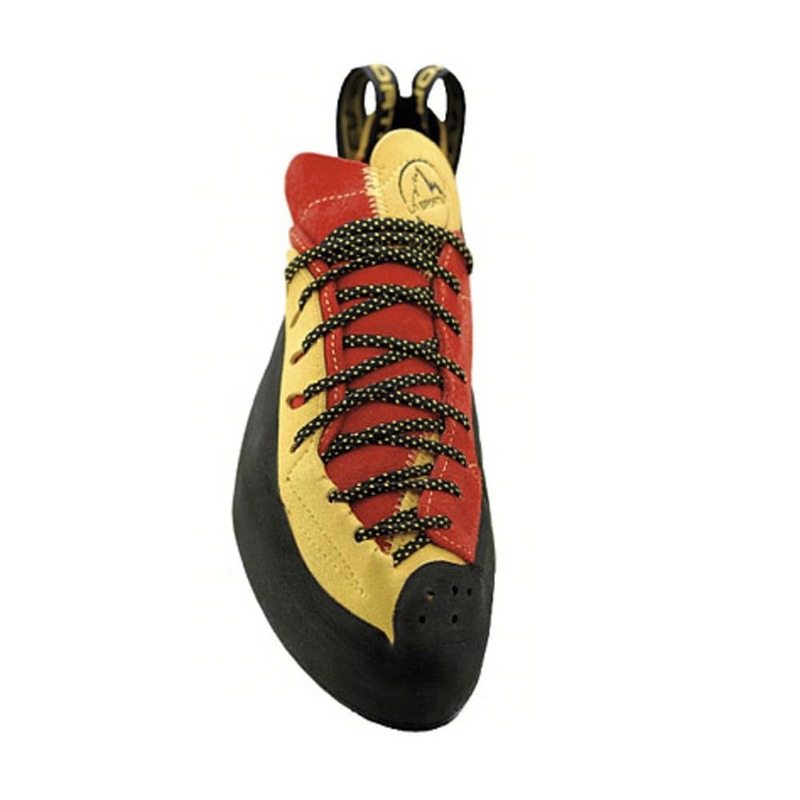 On sizing, please note climbing shoe sizes are only a suggestion as fit is highly personal. Foot shape, use, and style all play into size selection. Avg. Weight (pair): 14.8 oz.